Udupi, Sep 3, 2016: An official release from the office of the DK DC stated that December 31, 2016, is the last date for rural cable TV subscribers in DK, akshina Kannada to go in for set top boxes. As per the Cable Television Network (Regulation) Amendment Act, 2011, district magistrate, police commissioner and sub-divisional magistrate are empowered officers to initiate action against cable operators providing analogue signal after the cut off date of December 31. The government has appointed an additional DC as the nodal officer to ensure digitization of cable TV network and has directed cable operators to digitize analogue signals provided by them to their respective subscribers, inform them and compulsorily ensure they adopt set top boxes. 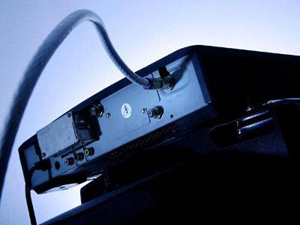 The release warned that the empowered authorities will take action against cable TV operators if they continue with analogue signals and also directed operators to procure set top box accordingly. It is reported that the Union government is now in the process of phase IV of digitization of cable TV in India. Having already completed the first three phases of this process, the government under the latest phase, intends to cover rural cable TV subscribers. Through this phase, the government wants to get an accurate count of cable TV subscribers, not just to mop up much needed revenue but, also ensure that every subscriber gets quality TV programming at their doorsteps.